Our 2016 Vodafone Warriors Women in League jersey is based on our Home jersey design. The Women in League Round acknowledges and recognises the important role that women play in league at all levels to make the game happen. 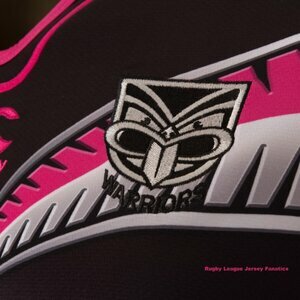 OFFICIAL REPLICA - Available through the Warriors official online store. Images were released in March and made available for preorder with delivery around May. 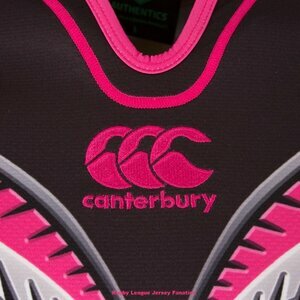 PLAYERS JERSEY - Same as the official replica but with a players fit taper, GPS pocket and white number on the back. Main tell tale sign would be the GPS pocket and of course its provenance. The following is the team list for that game and the numbers assigned to players.